Japanese hotels near stations are trying to attract train spotters with rooms marketed as having a "rail view". Most people would prefer a room away from the tracks, fearful the double glazing would not block the rattle of a passing early morning express. But some hotels near stations in Tokyo are turning a potential disadvantage into a business opportunity. They are trying to broaden their appeal beyond tourists and business travellers by marketing rooms to train spotters. 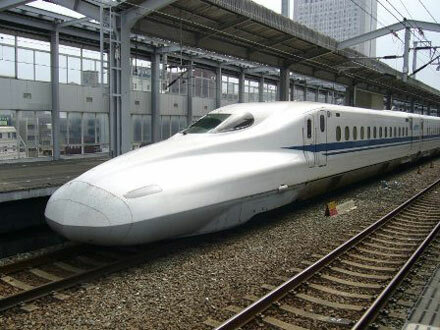 There are estimated to be 20,000 railway buffs in Japan, together spending more than $40m (£24m) a year on their hobby. The Hotel Mets Akabane in the Japanese capital has a scheme guaranteeing rooms with a view of the tracks on the fourth floor or above. The manager said some customers come back again and again. The rival Odakyu Hotel Century Southern Tower overlooks Shinjuku station, one of the busiest in the world. Its "Just like the N-gauge Model, Train View Stay Plan" is named after Japan's standard size of model railway sets. The offer includes a gift of a paperweight made of a piece of track, as well as a copy of the latest railway timetable.